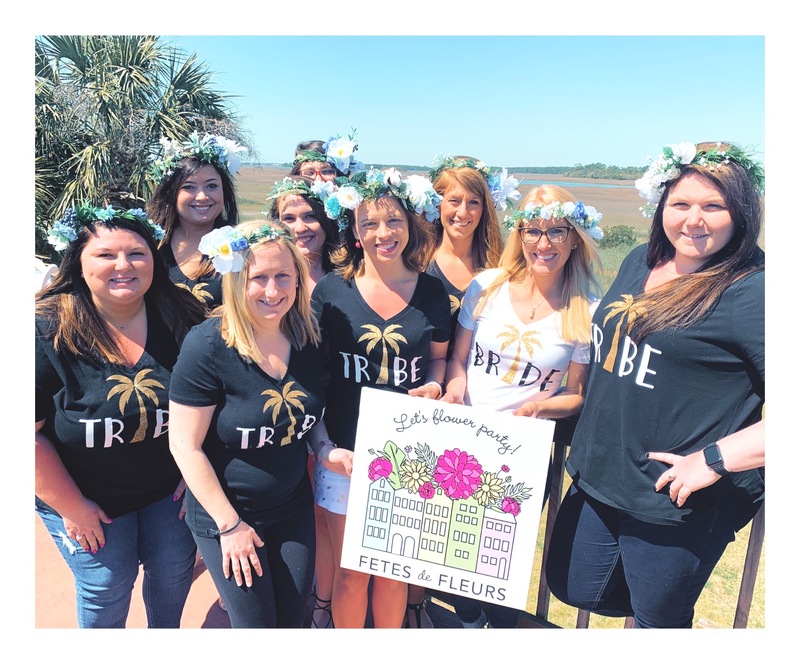 We were lucky enough to spend some time with a group of gals from out of town staying in Folly Beach (Charleston, SC) for a beach bachelorette party. 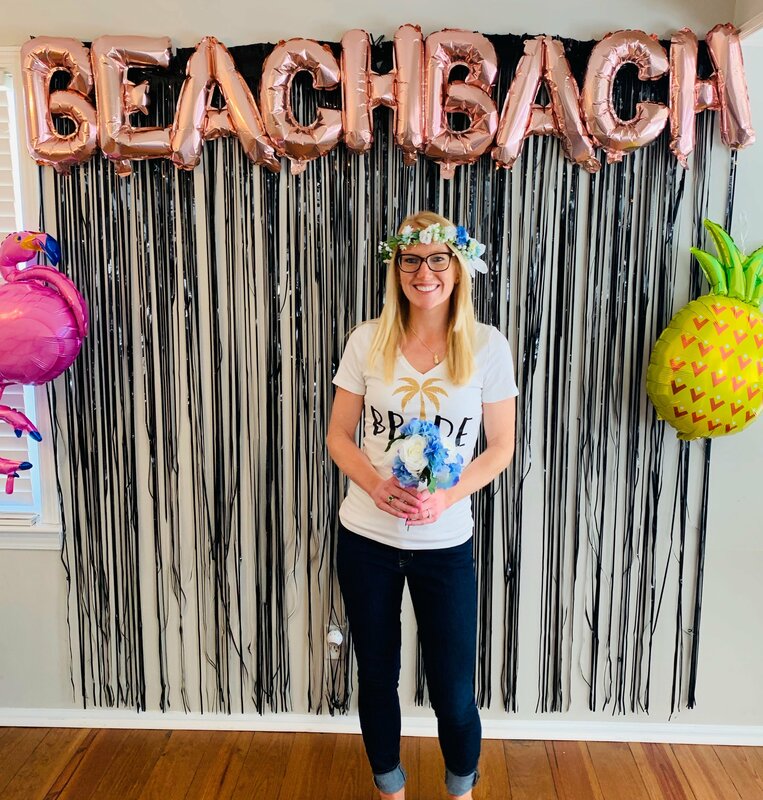 We love the beach bachelorette party theme! 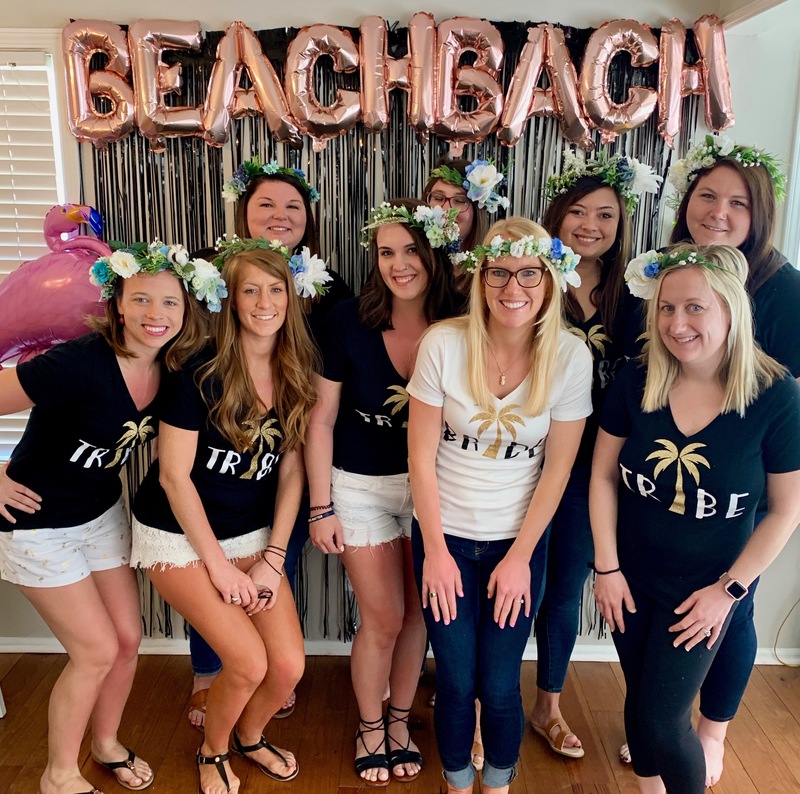 We thought we would list out some of our favorite things that go into throwing a great beach bachelorette party and some highlights from their Folly Beach bachelorette party to inspire you in planning your own #beachbach! Where they stayed: An airbnb on Folly Beach in Charleston, SC. Folly Beach is only about 20 minutes from downtown Charleston. It is a great option if you want to stay at a beach town and spend most of your time enjoying the ocean. 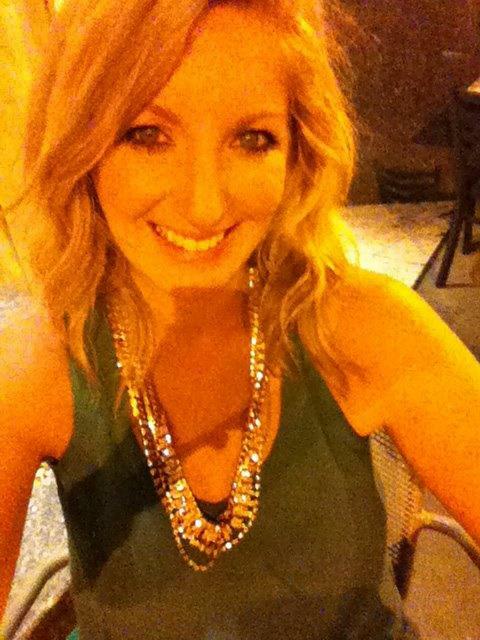 You can rent really fabulous beach shacks all the way up to luxury houses on Folly Beach for your bachelorette party. What they did: They booked a silk flower crown workshop with us where they wanted to do flower crowns with white and blue colors. We even had the chance to help make 2 flower girl flower crowns for 2 little ladies who will be in the wedding in the coming months! They requested silk flowers during the booking process along with a blue and white color scheme. The flower crowns that they made were going to be used in the wedding for the bride to be. 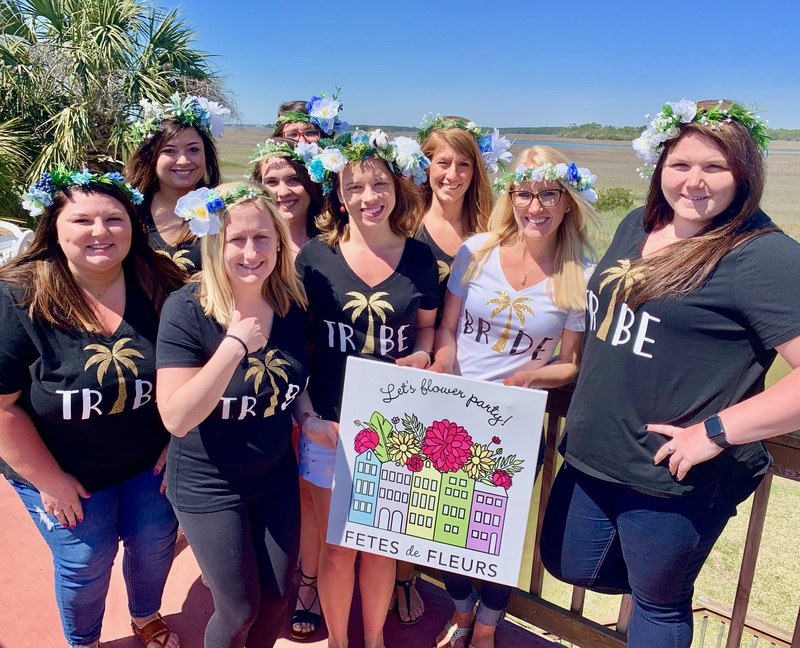 We love when bachelorette parties turn an activity like this one into something that they can keep forever and use in the wedding celebrations coming up. 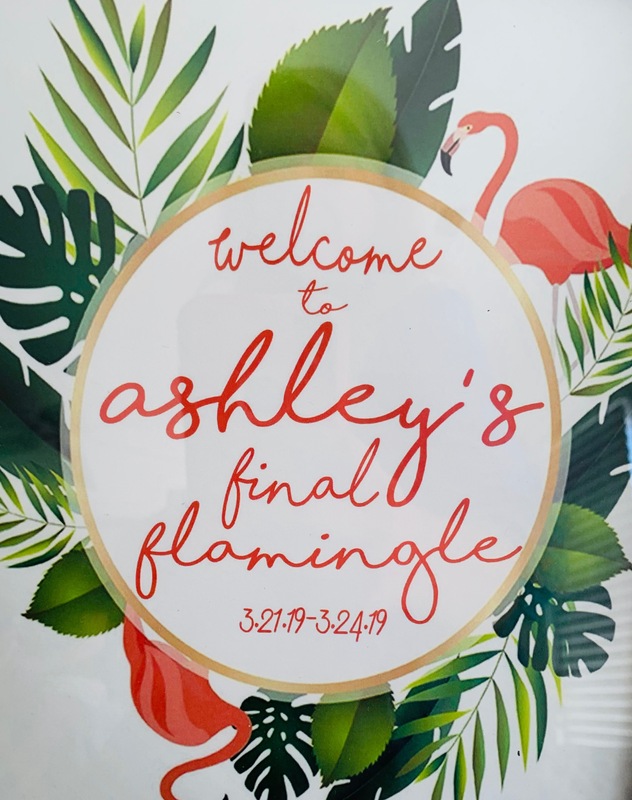 The theme: Beach bachelorette party theme with the final flamingle hashtag and #beachbach hashtag! A backdrop like theirs for photos. A banner of balloon for the hashtag or theme of the bachelorette party. Photo props for taking photos. Cute cups for drinks with the hastag. A sign to put up like the one we have in a photo that we took above. Flower crowns- you can either purchase custom flower crowns that we can ship to you in the mail for your bachelorette party or you can request a flower crown workshop where we come to you and teach your group how to make flower crowns. 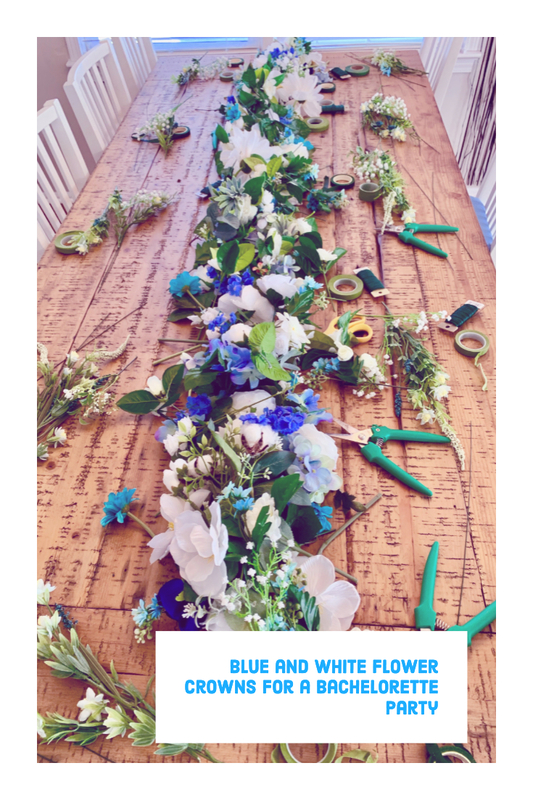 If you are looking for something fun to do with on your bachelorette party weekend we would love to help you with a floral activity. 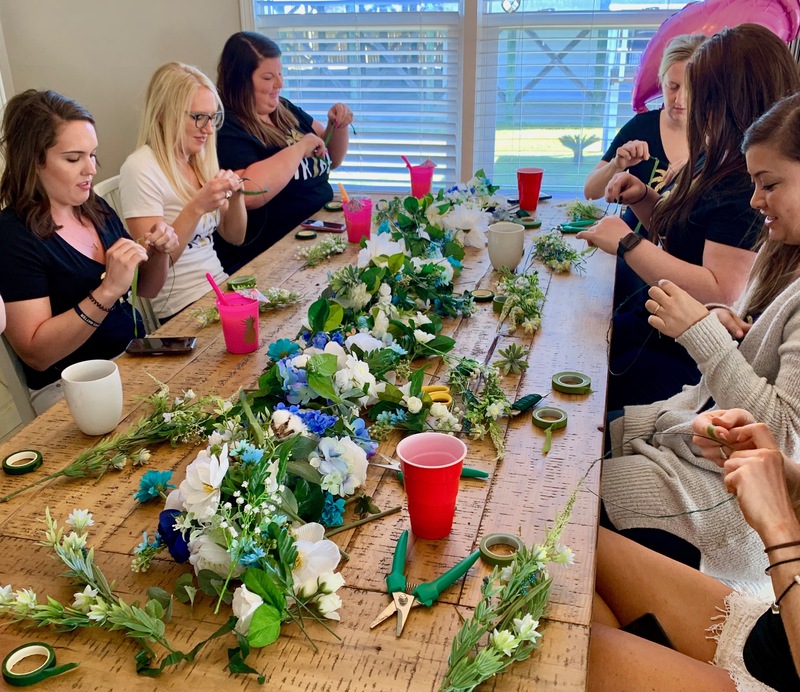 We tend to do flower crown workshops for our bachelorette parties but we are happy to help you with any floral workshop including floral arranging. You can email us at ali@fetesdefleurs.com. Check out this beautiful view from the roof deck at their Folly Beach airbnb! Holy cow! What a beautiful spot that they rented! The places and houses that we get to go to for the bachelorette party workshops always blow us away! We hope to flower party with you soon ladies! 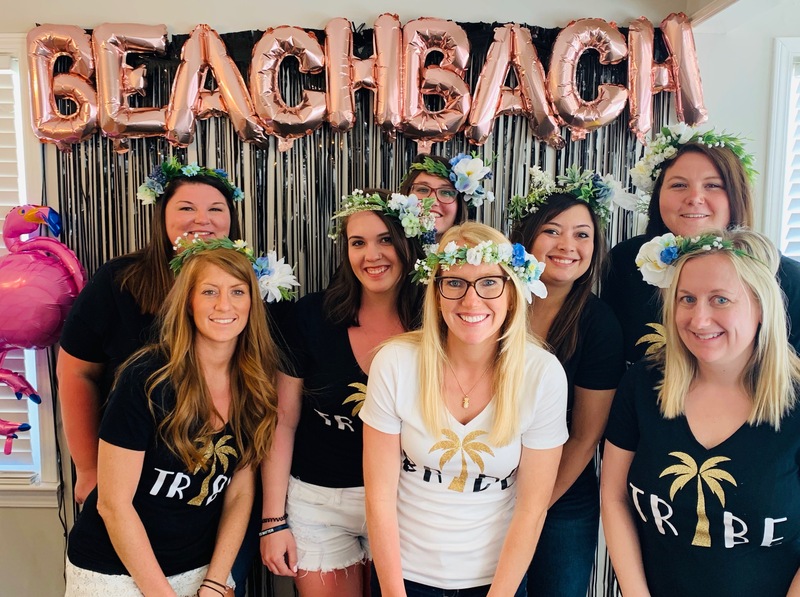 Are you doing the beach bachelorette party theme for your bachelorette party?! Let us know in the comments!